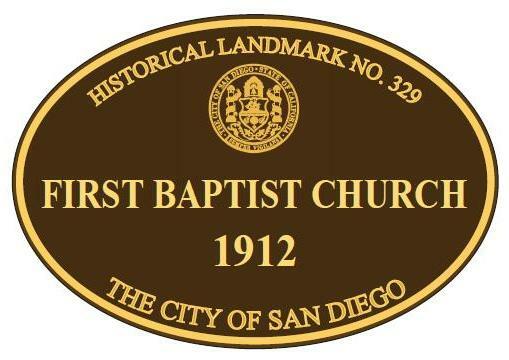 Downtown San Diego is constantly changing. 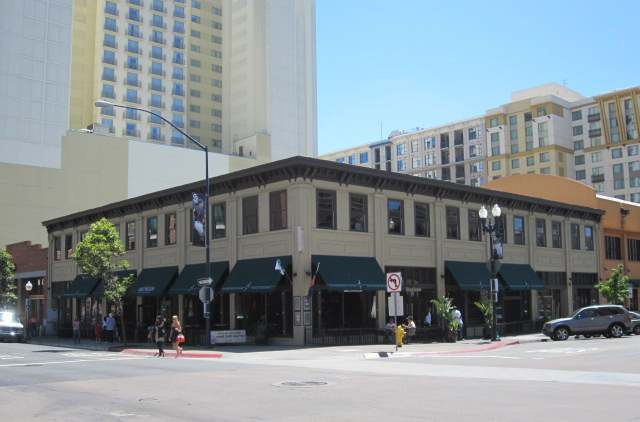 If you are standing in the middle of the Gaslamp Quarter, in nearly every direction, you’ll see a crane. If you don’t see a crane, you’ll definitely hear construction crews or come across a street closure. 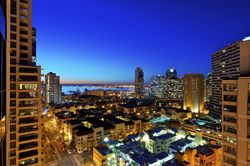 Development is on the rise and San Diego is in a constant state of transformation. 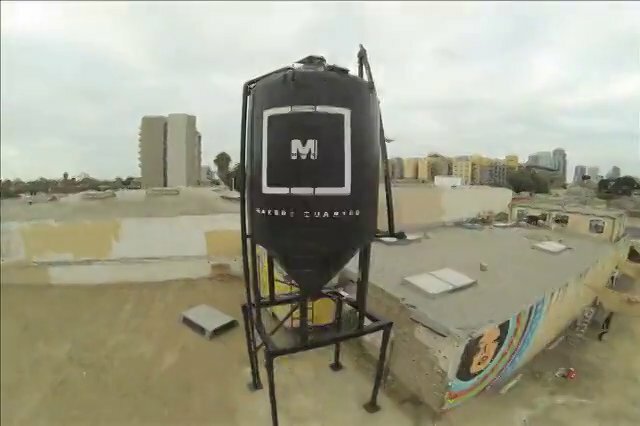 Enter Makers Quarter with its black silo boldly emblazing “M” beckoning for creative and innovative thinkers alike to bound together and quench their thirst for the ever-changing artistic economy. 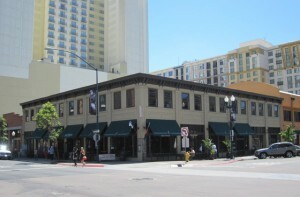 Makers Quarter would be newest addition to San Diego’s flourishing and vibrant Upper East Village in Downtown. Developers have unveiled plans for this urban mixed-use neighborhood which would be part of a larger planned “I.D.E.A District” is intended to draw in innovated and technology related companies and workers for a collective live, work, and play neighborhood . Makers Quarter outlines the eastern edge of Downtown and defines the southern edge of San Diego City College. The quarter stretches out just minutes away from the famous Balboa Park and enclaves a melting pot of vividly artistic neighborhoods. The estimated $900 million master plan by developers is set to stretch out five blocks, roughly spanning from 14th Street to 17th Street, and Broadway to G Street. The decade to 15 year assessed time frame projects intent for mixed-use buildings housing offices, apartments and retail spaces. 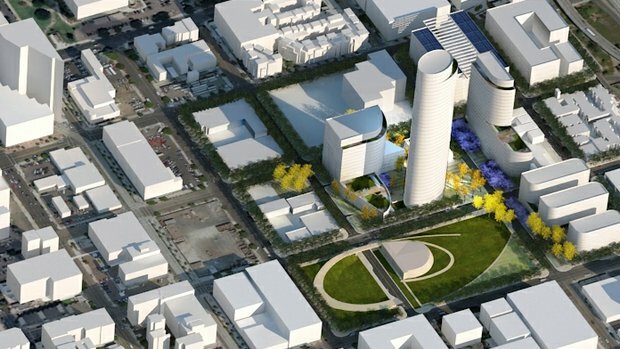 Developers are also looking to include an open marketplace with community gathering spots that will emphasize walkability and other sustainable elements. The area is already home to Art Warehouses and a Community Garden project. 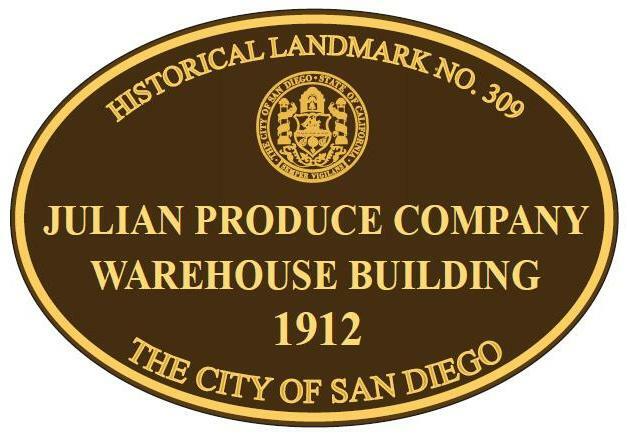 The quarter’s first building has an anticipated opening of 2016, but in the meantime, San Diego urban dwellers have been given a tantalizing nibble of what’s to come- SILO. SILO is the area’s raw authentic open space on the corner of 15th and F streets showcasing funky repurposed wood pallets as outdoor furniture and hypnotically vibrant murals orchestrated by local artists. 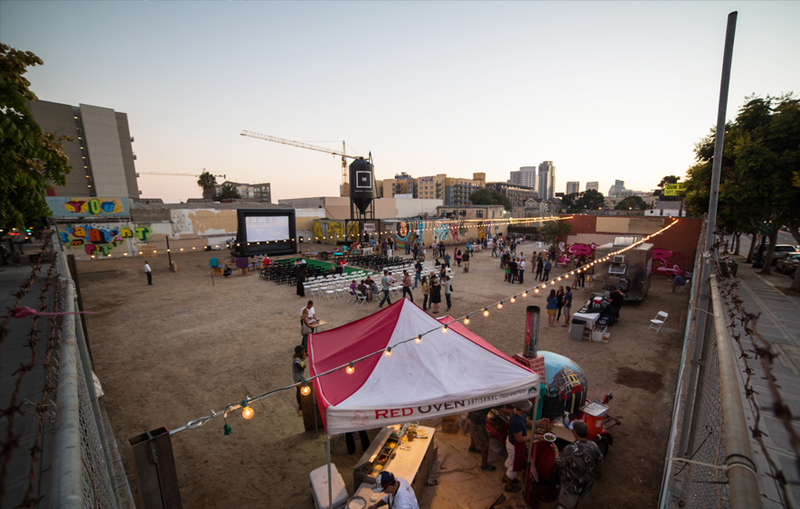 Since launching, SILO has hosted a San Diego Film Festival party, an urban pumpkin patch, a holiday-shopping bazaar and a “Craft Beer and Bites” for the San Diego Brewers Guild. 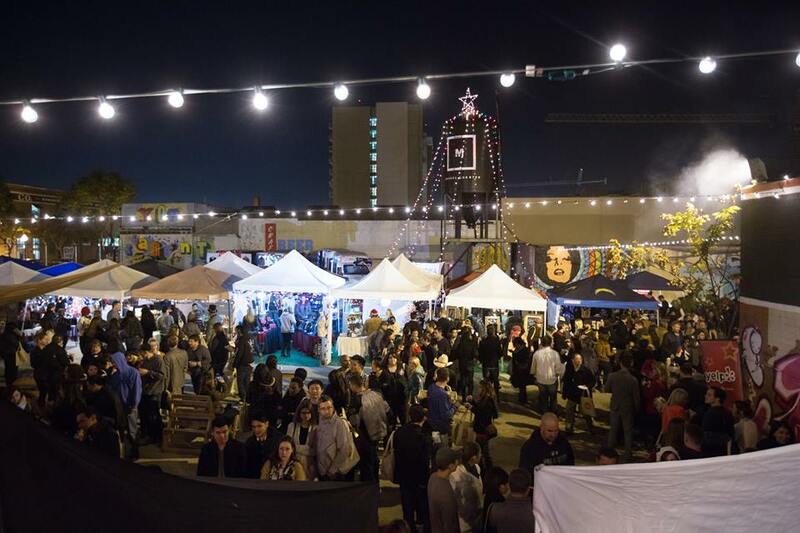 The collaborative events have been enormously successful bringing in distinctive crowds from both nearby and even outlying neighborhoods to connect and embrace the creative culture. The second “Craft Beer and Bites” went off on Saturday, April 5, 2014. Locals and enthusiasts alike bonded over craft beer and challenged each other to one of the many interactive games presented, including bocce ball, ping pong, and giant Jenga. However, it’s not all fun and games in urban planning. Building this incremental progression in reflecting the East Village community goals of a new emerging urban sustainable culture and neighborhood will leave the developers behind Makers Quarter with their work cut out for them. Many questions still remain unknown of how the neighborhood transformation will really pan out, but one thing is for sure, the war for talent has begun and the East Village is crafting its own identity to recruit the cream of the crop. For more information regarding Makers Quarter and events held, please check out http://www.makersquarter.com/about . Increasing use of street banners to tout East Village’s assets. 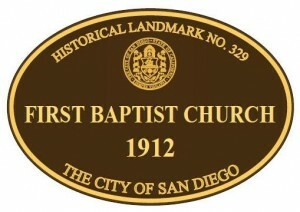 For more information on East Village events and projects, please check out http://eastvillagesandiego.com/. As you’re well aware, the holidays are here. Although this thought might be joyful for many, chances are that there’s a certain amount of stress creeping into your head as well. You’re likely going to end the day feeling refreshed and happy. So many of us rush through our days, especially around the holidays. This leaves us feeling frazzled, chronically dissatisfied, and spent. We often forget how important it is to slow down. During the holidays, we love baking. Cookies, breads, cakes…they all have a place in our hearts. Baking is one the “Small Things.” That is, it’s a small activity that brings lot of joy. It’s both meditative and creative at the same time. If there’s anything you don’t want to do, don’t do it. Say “No.” It might be a novel concept, but it’s really liberating. The 2012 Alonzo Award goes to…McClintock Warehouse Lofts! On October 4th, 2012, The Downtown San Diego Partnership 50th Annual Alonzo Awards saluted people, projects and programs significant to the the revitalization and renewal of downtown San Diego. More than 650 community leaders, including Mayor Jerry Sanders, honored downtown San Diego’s 50-year metamorphosis during the evening gala and silent auction at the San Diego Marriott Marquis & Marina. 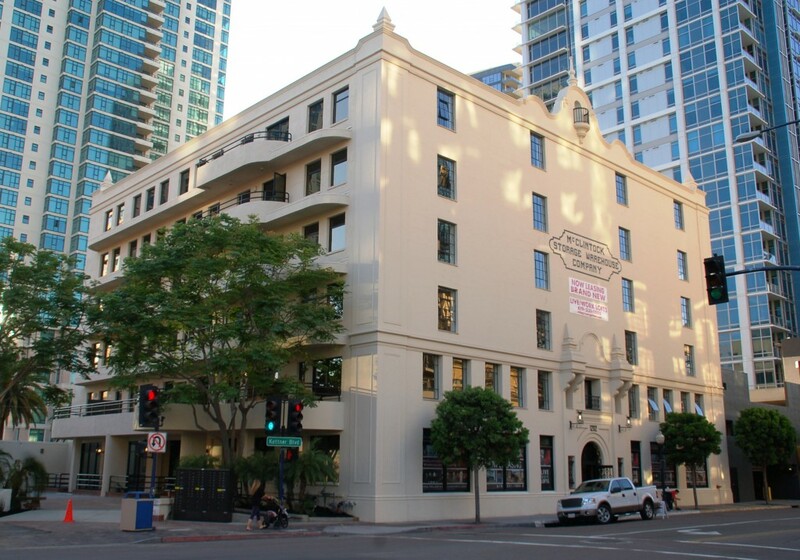 The Alonzo Award is presented in recognition of those efforts that have contributed significantly to the enhancement and enrichment of downtown San Diego during the past year. We are pleased to announce that our own McClintock Warehouse Lofts won the award this year! • McClintock Warehouse Lofts: The historic McClintock Warehouse Lofts are the latest trend in urban living. Trilogy Real Estate Management, Inc. has spent the last 8 months and over 4.5 million dollars on the newly renovated building offering 40 new Live/Work Lofts and 15,000 square feet of commercial mixed-use space. Named after the original intent of the circa 1925 building, the McClintock Warehouse Lofts have gone to great measures to retain and expose the original concrete architectural elements and storage unit details which make for an interesting contrast to the modern minimal interior. Thank you San Diego Downtown Partnership, for recognizing our efforts to contribute to the enhancement and enrichment of downtown San Diego! McClintock Warehouse Lofts – 100% LEASED! McClintock Warehouse Lofts. 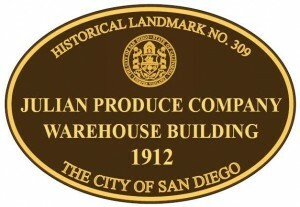 Little Italy’s newest live/work addition! Located in in the lovely historic building neighboring the Sante Fe Depot and just steps away from Little Italy restaurants, shops, festivals and markets. As an update we are currently 100% Leased! We are diligently working on filling our commercial spaces. 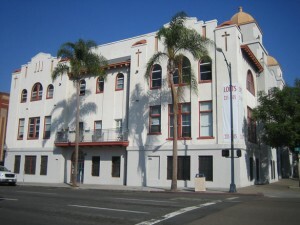 If you are interested in one of our spaces, please contact us directly at 619.231.1505 or visit Strom Commercial’s website at: http://www.stromcommercial.com/currentlisting.php?listingid=219&photono=1.